Take advantage of our sizeable, versatile and super-secure 10ft upper-level storage containers for the lowest possible price. Whether looking to store furniture, personal possessions or excess inventory for your business, there’s no more cost-effective way of benefiting from a little extra space. Easily accessible by stairs with forklift services available upon request, we make it easy to load, unload and access your property at any time. Whether looking to rent for just a few weeks or indefinitely, one thing’s for sure – we won’t be beaten on price! 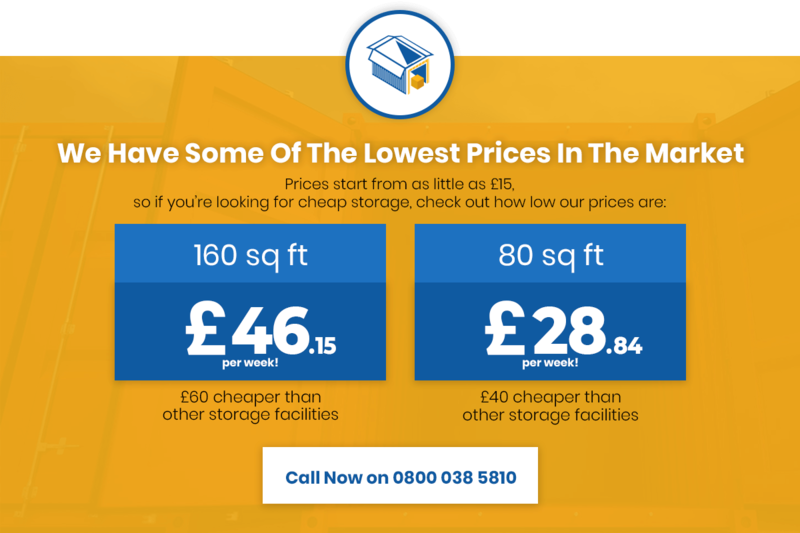 Priced as low as £27.69 per week or £120 per calendar month, we offer bespoke storage service solutions for the market’s lowest prices. Call to discuss your exact requirements and we’ll provide you with an unbeatable quotation.